Iota Tau is IT in Beta Sigma Phi! What's New in Iota Tau? Iota Tau is proud to announce our new Girl of the Year. Congratulations to Alyse Carter Essig on receiving this great honor. To learn more about Alyse please visit the Girl of the Year page. We have also elected our new officers for the 2000-2001 sorority year. Congratualations to these ladies, we know that they will lead us in the right direction. Iota Tau has gone CAREER!! We are so excited about our new chapter status. We now meet on Sunday mornings at 11:00 am and we LOVE it! As a result we are looking for ways to streamline our chapter business and additional programs to fill in those extra 6. Please email us if you have any suggestions for us. What makes Iota Tau IT in Beta Sigma Phi? We are a very close-knit group who does whatever we can to help our community. We are also a group of ladies who strive to exemplify sadly forgotten virtues of hospitality, kindness, sisterhood, and concern for our fellow women. 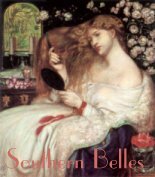 Most of us are Southern women (or transplanted and loving it). We pride ourselves on our Southern heritage and make every effort to preserve the manners and ease of the South. And that we will continue to grow and bloom under their guidance. What are we going to learn about this year? Found out all about Beta Sigma Phi and its rich history. Our very own Lauren's web page. Full of neat stuff. A comprehensive site of links to all of BSP on the web. Sisters from all over post their thoughts and questions. An online chapter of Beta Sigma Phi. Lauren, Alyse, and Tracy are members of this wonderful chapter. This site helps to feed the hungry. Please visit it as often as possible. Please sign our guestbook. We would love to hear from you. Iota Tau has entertained and hopefully enriched the lives of beautiful sisters and friends. Post a link to your Web Site in our Free-For-All Links page... Click Here. The Iota Tau Chapter . Want to join the Beta Sigma Phi Web Ring? This Virginia Ring site owned by Virginia Iota Tau. 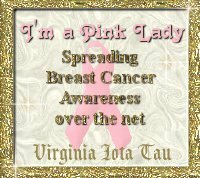 This Southern Women Webring site owned by Virginia Iota Tau. is owned by Virginia Iota Tau. Want to join theGals with Great Homepages Webring?